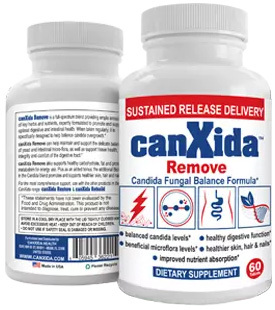 Why You Need to Add Ocean and Sea Vegetables to Your Candida Crusher Diet - YeastInfection.Org by Eric Bakker N.D. I rarely find that any books on diet and nutrition, let alone yeast infections, focus much if any attention to this particular category of foods, the amazingly healthy sea vegetables. Just like the fermented and cultured foods, once you start to eat these foods you will notice that you can take your health to a whole new level. I’d like you to consider adding this group of vegetables into your diet slowly, just start with only one addition like hijiki, kombu or wakame and take it from there. I first got introduced to ocean and sea vegetables when I was a naturopathic student after completing a cooking class that included Japanese cooking and got hooked right from the start, since then I have enjoyed many different types of seaweed in my diet. If you have ever eaten sushi or are familiar with miso soup which often includes pieces of seaweed, then you will already have eaten seaweed of some kind and be already familiar with these foods. There will be no looking back once you finally adopt a diet that regularly includes ocean and sea vegetables, because you will have rounded out your diet by including some of the healthiest of foods you will find in your health-food shop. Land-based vegetables, especially leafy greens and the colored vegetables. Fruits such as blueberries, avocado, kiwi, lemon and lime. High quality protein sources like fresh fish and lean meats. Free range eggs and chicken. Nuts, seeds like almonds, Brazil nuts, sesame and pumpkin seeds, etc. Alkaline grains such as quinoa, millet and buckwheat. Fermented and cultured foods including yogurt, kefir, kimchi, tempeh, etc. Sea-based vegetables, including agar, kombu, hijiki, nori and wakame. Seaweeds have been harvested for many hundreds if not thousands of years and used as a very important part of the daily diet in many traditional cultures around the world. Most people think of Asia when they think of seaweed, and countries like Japan in particular, but seaweeds were and still are an important food source for almost every country that has an ocean near it. In New Zealand, the Maori used wakame for centuries as a food source long before the white man came to its shores. The seaweed called nori which you may be familiar with if you have tried sushi, was once only reserved for royalty only in countries like Japan and Hawaii. I’ll explain more about each kind of seaweed soon, but first, let me explain a bit about why these sea-weeds are so beneficial for your health. Unlike land-based vegetables, seaweeds cannot obtain their food supply from the soil through their root systems, and they have to rely on obtaining all the nutrition they need from the ocean’s water. There are almost 60 different minerals found in seaweeds, and every single mineral and trace element your body requires can be found in sea and ocean vegetables. Does your multivitamin contain this level of minerals? I doubt it. In many Western countries, soils are becoming increasingly stressed and gradually depleted of many of our essential minerals and trace elements due to modern farming methods. This is certainly not the case with seaweeds because these mineral abundant foods contain hundreds of essential trace elements and minerals in the most assimilable forms that can nourish the cells of our bodies. Some nutritional experts in fact believe that these aquatic groups of foods are nutritionally among the densest on the planet, because they contain the highest concentration and broadest range of minerals of any currently known food. Are you starting to pay attention now, to this class of superfoods? Perhaps you should consider adding some of these foods to your diet, especially if you want to boost your overall health and wellbeing to the highest levels and get rid of that yeast infection permanently.